Be surprised by your own magnificence!! JOIN Kiala and Anatara for 11 days of play. Expand your limits and edges as you invite and experience a YOU that is free! Would you like more playtime in your life? Are you an adventurer who loves to explore new places? Would you like to create deeper connection with love and expand your intuitive abilities? Would you like to experience yourself as completely FREE? If your answer to all questions is a resounding YES, then this journey is for you! We have sourced out the best of everything for your complete enjoyment and transformational potential. The pathway is open, lighted up and ready to roll. All you have to do is show up! Enjoy 10 nights accommodation at the Kauai Coast Resort, Beachboy, where friendly staff greet you with ALOHA and a smile every day! We will travel the island as a pod of dolphins in deep playtime and community. As we hike, swim, snorkel, sing, dance, breath, and, explore, you will be receiving light activations that will reawaken dormant strands of DNA. You will be turned on to your own unique optimal health, vitality, expression and purpose. Permanent life changing shifts are available for all in attendance. From airport pick up to drop off, this journey is chalk full of adventure. 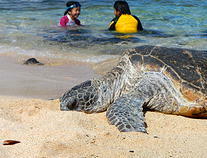 Enjoy snorkeling with the turtles and tropical fish on the islands many beaches. Hike the stunningly picturesque Waimea Canyon and the world famous Kalalau Trail. Sleep under the stars at Polihale and feel the magic immerse itself in your cells. 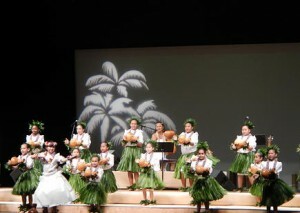 Learn about the ancient Hawaiian culture with a Laua, grass skirt, lei making and hula dancing. Participants will receive a brand new island designed Kamoa Ukulele and lessons are available throughout the trip. You will also have one on one time with experienced facilitators Kiala and Anatara, as we dive into the quantum field and deeply support your journey. Evening circles will include Singing, Guided Quantum Connections, Angel Listenings, Sound Activations, Ukulele playtime, and more! 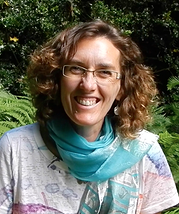 Anatara has been offering intuitive readings, “Angel Listenings” and intuitive spiritual counsel for over 25 years to clients throughout the U.S., Canada, Europe, and Australia. Aware of angelic beings communicating with her since her childhood years in Boston, Anatara sought to develop her keen spiritual and energetic sensitivities in a variety of ways. She began by studying psychology and medical anthropology at university. She then expanded her training in several ways, becoming a Yoga Instructor, a Therapeutic Touch Practitioner and a Caregiver and Spiritual Guide for the Dying. Her inquisitive nature and deeply heightened awareness of the invisible forces around her, gave her the words and techniques to guide others in their own self discovery. 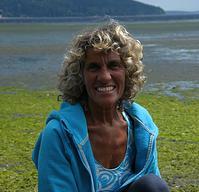 She has been leading individuals and groups in the discovery of the wonder of Intuition for decades. YES I would like to start my journey! Option 1: $555 non refundable deposit NOW and three monthly payments of $926 (Aug 7th, Sept 7th and Oct 7th). Balance due 60 days prior to departure. No refunds within 30days of departure. Cancellation and Refund Policy: Deposits are non-refundable . If a trip is cancelled for any reason within 60 days of departure, a 30% cancellation fee will be applied in addition to the non refundable deposit. No refunds within 30 days of departure. The trip is transferable. Travel and cancellation insurance is recommended for this journey as it is tropical location and there is a possibility of weather interruptions. Medical insurance is also recommended. To purchase the Quantum Adventure or if you have any questions, please contact Anatara at 250-538-0066 or contact(dot)anatara(com)ca.